Affiliate marketers love making money with ShareASale for many reasons. However, before I list the reasons why people and I like it, let’s remind what it is. Share-A-Sale is an affiliate marketing network established since 2000. It connects merchants with affiliates. Advertisers list products. Marketers promote these products. Customers buy products. The merchant makes money selling the product; the affiliate marketer makes money from the sale; the customer is happy with his purchase. ShareASale just connects promoters with merchants. It handles payment, manage affiliate infrastructure… It makes money from merchants’ fees. Why making money with ShareASale? Now that you know what ShareASale is. You realize that there’re many programs like it. However, it in the list of the best affiliate networks that I wrote on AskEustache. Why does affiliate marketers love it? There are ten reasons, among others, why they love it. ShareASale is an affiliate network. It success is due to its infrastructure. The way it pays affiliates. But also because of its reliable merchants. You can join ShareASale signing directly here, or you can join through a program below. It pays through ACH and cheque. Payoneer account holder can get paid through Payoneer US payment services. 1.- It has high paying affiliate programs. WP Engine: Managed WordPress hosting. Get paid up to $200 per sale. >> promote WPEngine. Pressidium: Alternative to WPEngine. Get paid up to $200 as well. >> promote pressidium. Just to list two programs where revenue from one sale is enormous. But, there’s program paying higher commissions. For a list of legitimate programs paying up to $12,500 per sale, dig into the 20+ high paying affiliate programs you can use to maximize affiliate income. 2.- It has residual income programs. The infrastructure of ShareASale makes it possible to earn residual income. You get paid recurring revenue each month for a single sale. There are programs that pay residual income for 12 months, 36 months or lifetime. read: Make passive money with residual income programs. With one sale to a tried and trusted residual income affiliate product, you build a solid passive income source from affiliate marketing. 3.- It has two tiers affiliate programs. Another great part of ShareASale affiliate program is the tier program. It means you make money when your referral makes money. By example, LinkTrackr, from ShareASale, allows you to earn 5% from referred affiliate revenue; DMCA pays you $0.25 per referral; WP Engine pays you $50 when a referred affiliates make money. But, when you are active, your referrals are active, everybody makes huge money. 4.- It pays per referral. ShareASale pays per referral as well. An affiliate network which is an affiliate merchant; isn’t attractive? You get pay $1 per free affiliate sign-up who attract a lead, $150 per referred merchant. 5.- It pays for performing well. How difficult it is to attract a sale from your links!!! For real, why should they trust you? People are careful about their money. They think twice before buying. But with ShareASale, you earn both per lead and per sale. Customers have the time to test if the product is good or fits their need with a trial or free plan. You get paid for that lead. When the customer purchases a plan or upgrade, you get paid as well. WP Engine and Pressidium give $100 bonus for 5 sales per month; $2,000 bonus for 60 sales. Grammarly gives 20% plus for over $2,000 in sales. earn $4,000 a month, get $400 bonus. Storm Web gives $125 per 25 signups to $20,000 bonus for 1,000 signups. Affiliate marketer has a reason to be a better promoter with ShareASale’s merchants. 6.- It helps optimizing conversion. create videos with integrated and clickable calls to action. create custom links to advertisers’ pages that have been optimized for conversion. display products through API and RSS. create pages and widgets for products to get more exposure. 7.- It has detailed reports. A well detailed report is crucial for an affiliate marketer. When you know how your existing contents perform, you can improve them and plan to be better. ShareASale allows you to add tracking codes to URLs; it gives detailed reports where click came from. 8.- It covers your field of interests. It fits general categories that make it useful for most affiliate marketers. 9.- It has a welcome bonus program. You get paid to join some merchants using ShareASale. I will not disclose affiliate programs that pay you to join their programs. But I will show you proof that I’ve been paid for. :) Have fun entering programs so trusted that they pay even before a sale. 10.- It is free to join. You do not have to pay to join. It is free. So, nothing blocks you from giving it a try and making money with ShareASale. You get paid per cheque or ACH when your account balance reaches $50. You can receive your money through Payoneer via US payment services. It is over to you now. Please leave your meaningful comment below; let us know why you love ShareASale ( or hate)! :) Give us your feedback as well, if the article help. 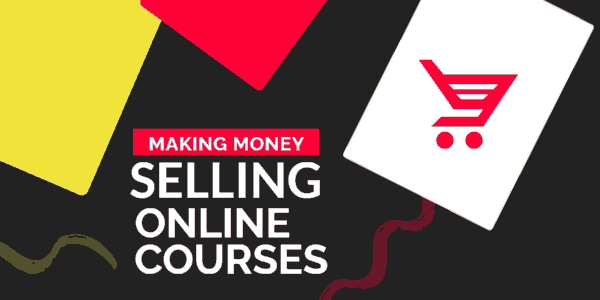 For step by step through affiliate marketing, you can consider effective affiliate marketing course on Udemy.